The People at Kaavay, a bunch of tech enthusiasts situated in South Goa have designed and manufactured a brand new social network for your smartphones and tablets that brings like-minded individuals with similar interests together on a single platform. Wobbler works on a simple chemistry of “wobbling” another user; just like pinging or poking somebody. All a user needs to do is wobble a desired user and wait for the person to reciprocate, and if he or she does, then the chemistry between the two users increases, resulting in higher interactivity. A chemistry bar graph shows the mutual user connectivity and the need to make the bar rise higher is what pushes a user to interact even further with a fellow Wobbler. 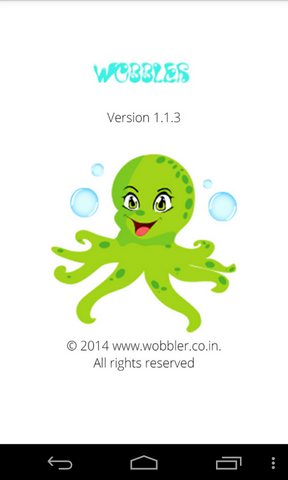 The App is free for downloading and has no additional costs, so if anyone is looking out for an alternate to their Facebook and Twitter can have a go at Wobbler and wobble away!